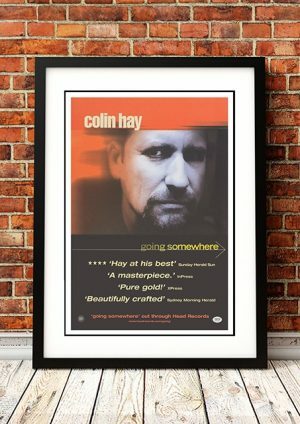 Classic Colin Hay Band Concert Posters & Memorabilia! Buy Online Now! Colin Hay embarked on a solo career, debuting in 1987 with Looking for Jack (the title of which supposedly referred to a brief encounter Hay had with actor Jack Nicholson), which once more failed to match the success of his early work with Men at Work. Hay continued to release solo material with regularity throughout the ’90s, including such titles as 1990’s Wayfaring Sons, 1992’s Peaks & Valleys, 1994’s Topanga, and 1998’s Transcendental Highway. The same decade, Hay also launched his own record label, Lazy Eye Records, and sporadically acted in cult movies (which he had begun doing the previous decade) and TV shows, including parts on such series as JAG, The Larry Sanders Show, and The Mick Molloy Show, among others. The first few years of the 21st century saw the release of a pair of recordings — a new studio album in 2001, Going Somewhere, and a collection of re-recorded Men at Work and solo tracks in 2003 (Man at Work). Hay also toured with Ringo Starr in the summer of 2003, as part of the former Beatles drummer’s annual All Starr Band. He issued Are You Lookin’ at Me? in 2007 and American Sunshine in 2009, both of which were released on the Compass label. Two years later, Hay released his 11th album, Gathering Mercury, which was followed in 2015 by Next Year People. For 2017’s Fierce Mercy, Hay produced the record himself, resulting in a richer sound than its immediate predecessors. 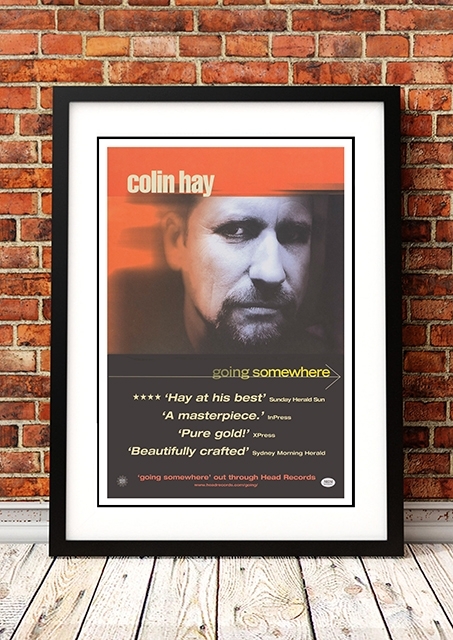 We stock some awesome Colin Hay Band Concert Posters.